Garcinia promotes feelings of satiety and fullness to reduce occasions of overeating. The herb contains plant compounds called hydroxycitric acid (HCA) which support normal fat and carbohydrate metabolism for natural body weight maintenance. Garcinia assists in the normal conversion of stored fat into energy. The HCA in Garcinia inhibits ATP citrate lyase, a key enzyme that converts carbohydrates into fatty acids such as cholesterol and triglycerides. It also supports normal serotonin levels in the brain that relate to appetite and satiety, which makes Garcinia an important addition to a healthy weight loss program that includes a balanced diet and regular exercise program. Additionally, Garcinia can help your exercise and diet be more effective by supporting normal blood sugar balance and cholesterol levels that are both already within the normal range. 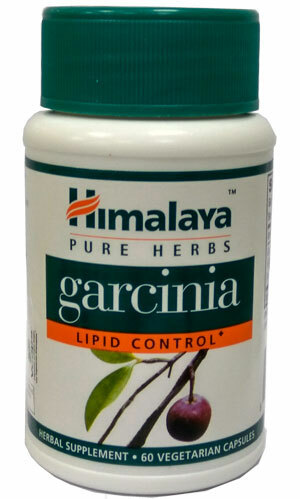 To support your body's normal weight level and metabolism of lipids, give Garcinia a try! One capsule twice daily after food or as directed by your physician.